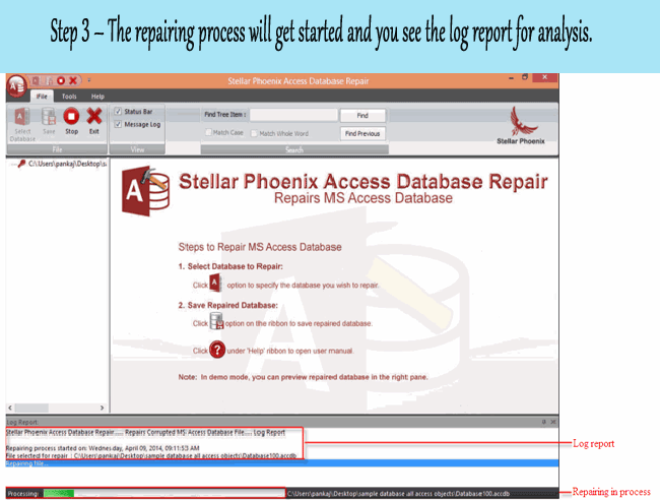 6 Microsoft JET Database Engine Error '80004005' Along With Their Fixes…! 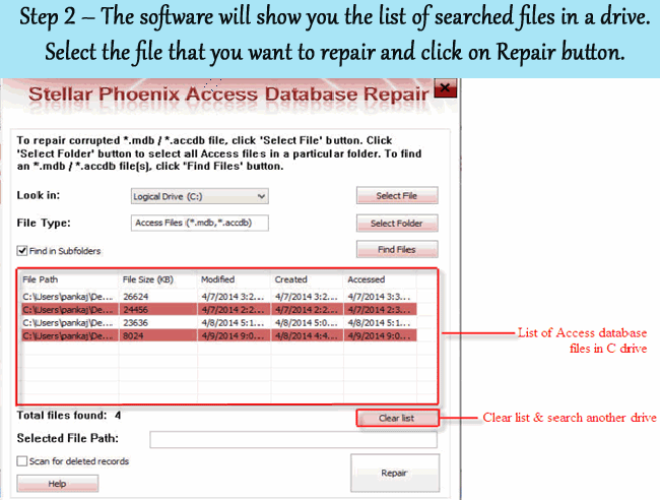 Are you frequently getting “Unspecified error (0x80004005)” in your Microsoft Access database? And because of this specific error code are you unable to Access the database and view records? Well in that case it’s our recommendation to try the fixes mentioned in this blog. 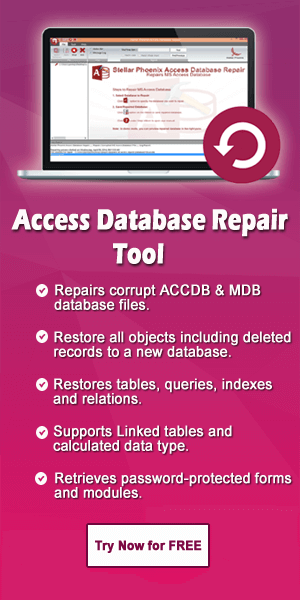 Access error 80004005 is jet database Engine error which prevents the user from accessing their data. This error doesn’t cause because of the problem in the database engine but due to several combination of issues. Below here are the few common reason and solution that can opt for dealing with this error. 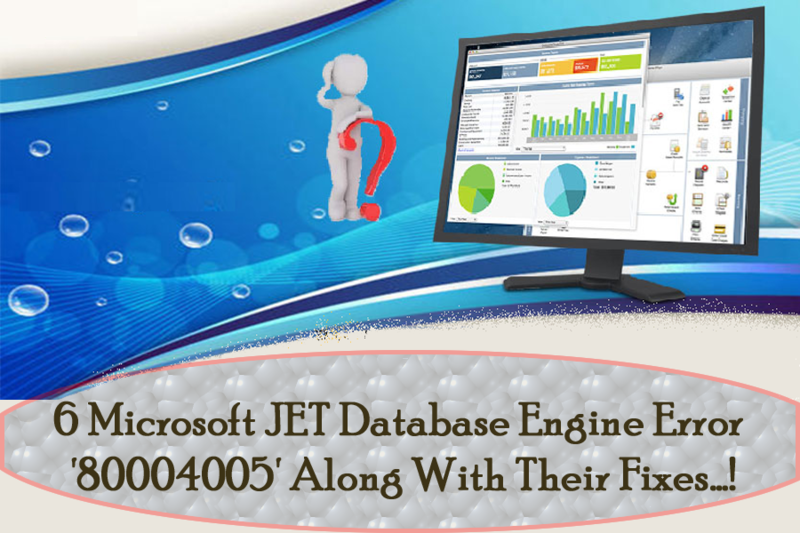 What Are The Causes Of Microsoft JET Database Engine Error ‘80004005’”? Microsoft Internet Information Server (MIIS) account, has wrong windows NT permission. 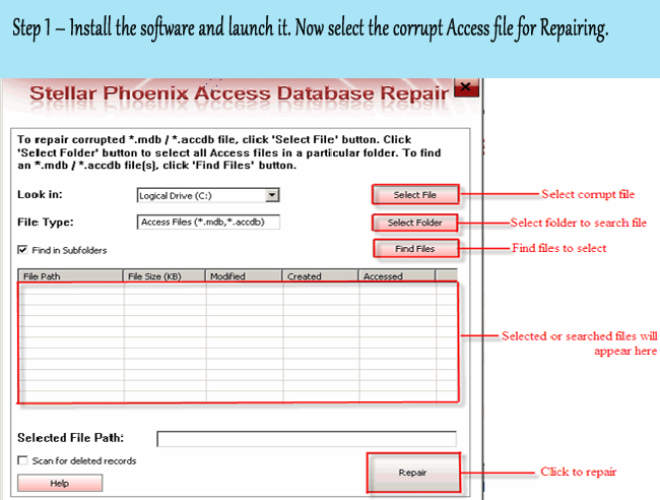 This obstacle the user from accessing file based database or folder having the file. Both name and file of data source are marked Exclusive. 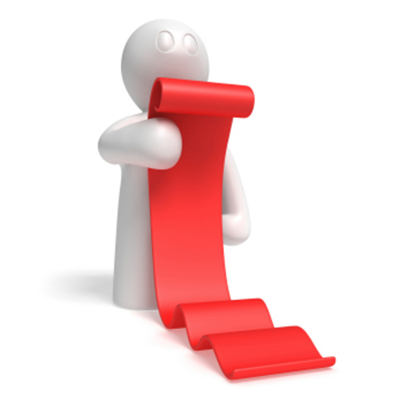 Database is opened through another process or by other user. Possibility is also that it is been caused due to delegation issues. so that it is recommended to check the authentication mode. If Universal Naming Convention (UNC) is mainly used by connection string, so make use of the Basic authentication or Absolute path. Sometime the error 80004005 may also occur while accessing a local MS Access database linked to a table which is further linked with a access database in network server. Have a look over the complete varieties of Run-time error 80004005 occur in Access Database. And try to fix them on your own as the error listed below is along with the fixes. Error Message 1: The search key was not found in any record, Microsoft JET Database Engine (0x80004005). If you encounter such error that means Access database has been corrupted. In order to fix this error, you have to repair the database. Follow the given steps to fix it, if your database is on remote server. In Microsoft Access, open the database and click on “Tools” menu and select “Database Utilities -> Compact and Repair Database”. Again upload the database to the server after repairing using FTP. Error Message 2: General error unable to open registry key, “Temporary (volatile) Jet DSN for process 0x6cc Thread 0x78c DBC 0x144cfc4 Jet”. Microsoft OLE DB Provider for ODBC Drivers. However, there is not meticulous reason for arrival of this error but it may occur because of incorrect path of the database. In order to fix this error, you have to check the path of the database is correct or not. While accessing the local MS Access database which is connect to the table where the table is an Access database on a network server. Data Source and file name are marked as Exclusive. Another reason for this error is delegation issue so check for the authentication method if there any. Try to use basic authentication if the universal naming convention is used for connection string or absolute path like C:\Mydata\ Data.mdb.it issues might also arrive. Error Message 4: Object or Database is Read only. Microsoft OLE DB Provider for ODBC Drivers error “80004005”. This error normally arrives when user tries to update or insert data in Access Database. That means you do not have permission to write the database. Ensure your database id uploaded to the /db folder that is place at the similar directory level as www. Error message 5: It may not be a database that your application recognizes, Microsoft JET Database Engine error “8000405”. File may be corrupt or cannot Open Database. 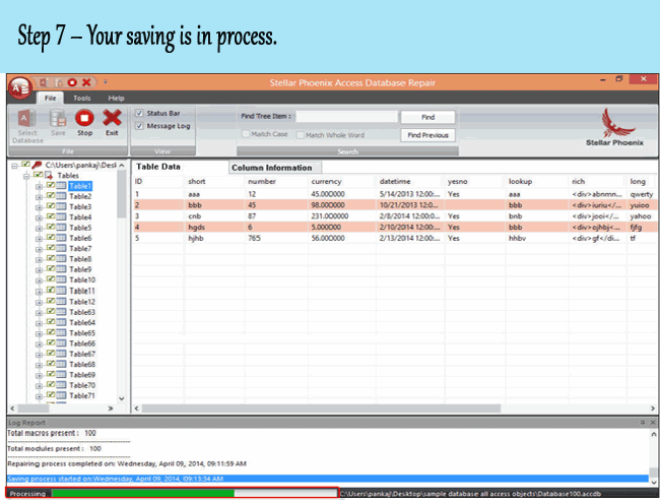 Convert to a SQL database. 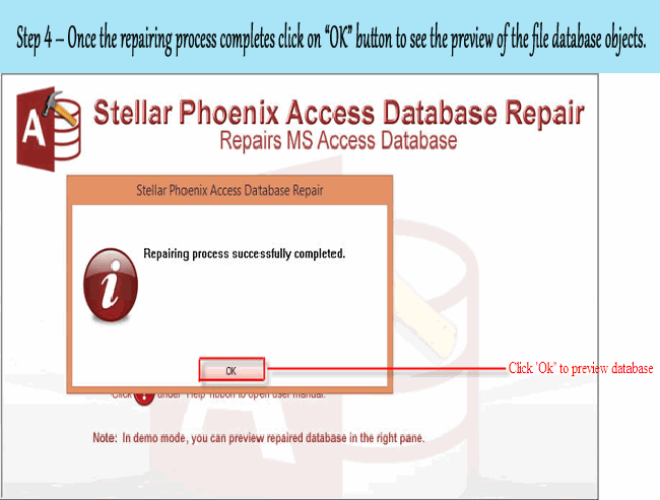 If your database is in MS Access 97 version then upgrade it to Access 2000 or later and again upload your database. Error Message 6: Microsoft JET Database Engine error “80004005”, Table “ tblTable” is exclusively locked by users on Machine “My Machine”. This error unable user to access the table or that you already has the table open in “Design View” in MS Access. Close Access file and try again. 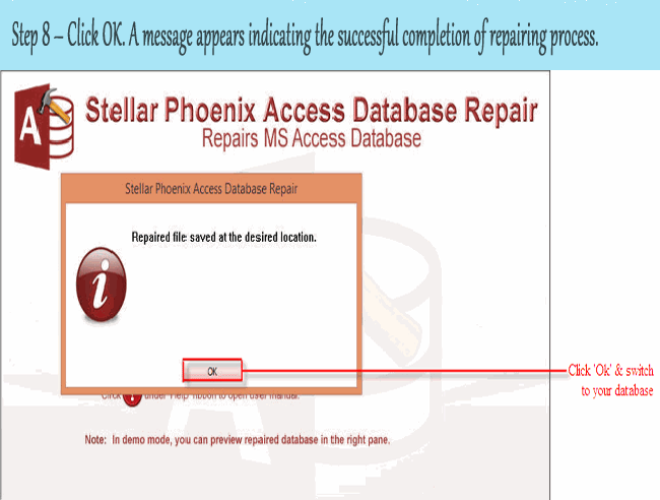 Even after trying the above technique if the database errors still persist then the recommended solution is to use MS Access Repair and Recovery tool. 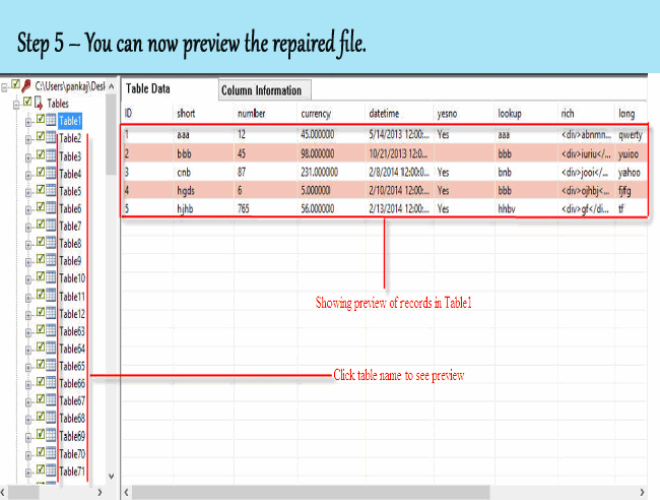 You can easily fix database error with the help of this tool and also able to recover data. 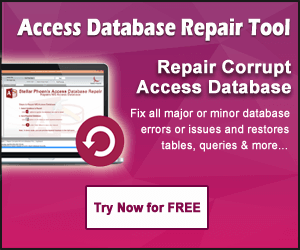 This tool is able to fix any type of database corruption and also easily recover the corrupt indexes, relation, queries, tables, modules, password protected forms etc. This software will work on all version of Windows operating system like Windows 95/98/ME/NT/2000/2003/Vista/7/8/8.1. No doubt Error 80004005 is too difficult to tackle as it completely unable you to Access Database till you don’t resolve the issue. But it’s not impossible to get rid of it. 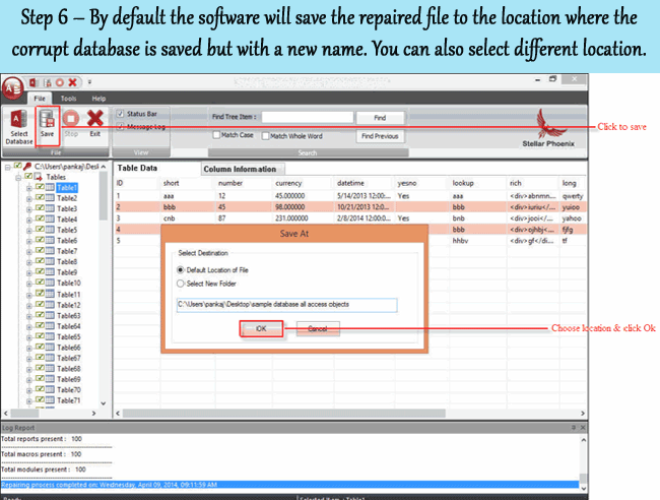 above mentioned solution work most of the times, so try them out as solution are just perfect to resolve Microsoft JET Database Engine error ‘80004005’” in an easy way.